Jambo! Let's take a Feel Good Friday trip to Tanzania to learn about the work of Twende! Twende, Swahili for "let's go", is a social innovation center located in Arusha, Tanzania. Their mission is "to empower people to become creative problem solvers who make their own life-improving technologies." Founded in 2007 by Jim Elsworth, Twende began as a workshop where people could identify local needs and create innovative technology solutions. In 2012 Twende merged with AISE, an organization focused on running creative capacity building workshops. The idea behind both organizations is that community members, rather than outside organizations, are the best people to identify their challenges and create solutions that use locally available, inexpensive materials that can be maintained and repaired by locals. 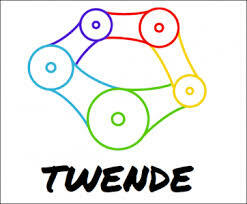 Now, Twende offers workshops for the community, products for sale and support for innovators. The current workshops are "Creative Capacity Building", a 5-day workshop teaching people the design cycle of build-test-iterate then putting them in teams to brainstorm and build one of their ideas and the "Build It Workshop" which teaches specific skills, either electronic or mechanical, and results in students building practical items such as a flashlight or stove. The two products developed by the Twende Core Team that are currently in production and being sold in Tanzania are a drip irrigation kit and bicycle-powered maize sheller. Twende has taught more than 1,300 people in their workshops and over half of the students have been women! Twende also provides funding, space and technical advising for participants who want to continue their projects and complete their first prototype. If you like what Twende is doing, share their work and their story on social media by liking their Facebook page and following them on Twitter @TwendeTZ. Asante sana!